Need to furnish your place near 73043? 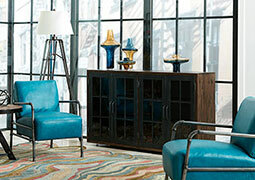 Lease furniture from CORT, your source for convenient (and stylish) furniture that fits your lifestyle. When life throws you into an uncertain transition period, own your freedom by renting furniture instead of buying it. With CORT, you can have furniture when you need it, and not have to worry about it when you don't. CORT is a Berkshire Hathaway Company and is dedicated to providing extraordinary experiences. That’s why we offer convenient leases, helpful delivery and setup, and convenient payment options. Plus, with furniture rental showrooms across the U.S. and a network of global partners in 85 countries around the world, we’re sure you’ll find just what you want, right where you need it! Turn a short-term place into a welcoming home by renting everything from high thread count sheets to elegant headboards. CORT not only leases out everyday essentials like dining room sets, sectionals, and coffee tables, we also have housewares for rent such as pans, pots, dishes, and even indoor grills. Our furniture for rent will make you feel so at home, it’ll be hard to say goodbye! And if your temporary living situation becomes a permanent one, you can purchase your rented furniture at a major discount. So enjoy an easier move. 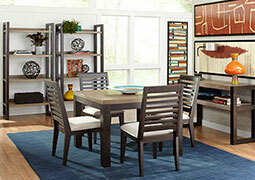 Visit a CORT Furniture Rental Showroom near 73043 today. Leaving the nest for college? Great move! 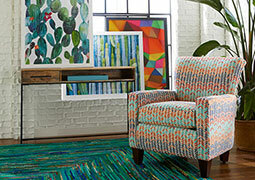 Before you spend your hard-earned cash on furniture you'll just use for a few semesters–read on. Our student packages make it easy for you to focus on your studies while we handle your furniture arrangements. Just select a lease term, pick a furniture bundle that meets your needs, and choose whether you want us to pick out stylish pieces or do it yourself. After you check out, we'll arrange a time to deliver and set up your furniture. We'll even pick up everything when your rental period is over. Whether you need to furnish a two-bedroom apartment or a cozy student, you'll find that our packages put students first. Heading back to school never looked better! Our student discounts and flexible plans make renting furniture a breeze. Starting at $99 per month for a 12-month lease. Moving offices or expanding your business in Oklahoma? Congratulations! 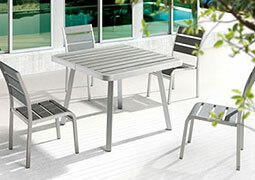 Turn to CORT for corporate furniture. Our flexible workplace furniture solutions can evolve with your company. Protect profit and keep great employees by creating an environment that fosters productivity and impresses clients. At CORT, you’ll find executive desk chairs, sleek waiting room seating, and more corporate furniture for rent near 73043. Whether you're bracing for more foot traffic, preparing for a merger, or setting up temporary housing for employees— CORT's office furniture for rent can help keep your business "in the green!" If you're a home stager, real estate agent, or homeowner, you know trying to sell a home isn’t easy or cheap…especially near 73043. 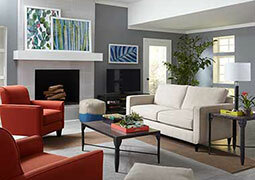 Home staging furniture is essential for a quick sale, but buying it doesn't make sense. That's why CORT rents furniture for home staging near 73043, offering a variety of styles and options designed to flatter all types of homes. Decorate a whole house or pick and choose strategic accent pieces. CORT has the style and flexibility you need. Rent home staging furniture to bring out the beauty in any space, and sell that space at a higher price—quick! Moving for college? Furniture rental with CORT gives you the flexibility and student discounts you need to create a space you’ll love. Is your military family sick of lugging heavy furniture from state to state? 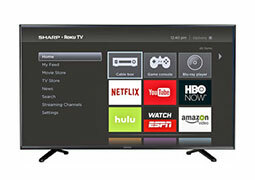 Cut stress and save money with CORT military packages and discounts. Hiring seasonal workers to get your biz through the busy season? Lease office furniture for your temporary hires! CORT gives you choices, and you're never required to buy furniture. Find a CORT Showroom near 73043 to get started, or browse our catalog online.